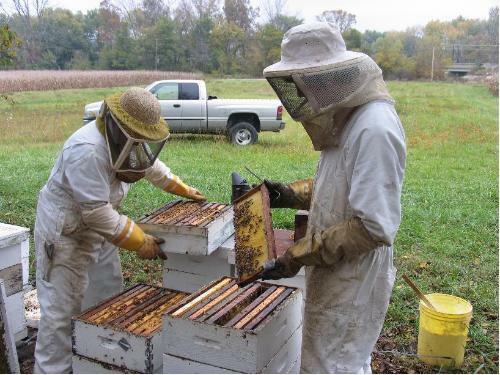 Join a beekeeper and work a live bee hive. To book your tour, complete the form below or call us at 765-537-9430. We will confirm availability and provide billing options. PLEASE NOTE: Your tour is not booked until we confirm your reservation by email or phone. If you have questions, please call. Very good explanation on workings of the hive. Great to be able to be up close to the hive. I thought the children all enjoyed it. I know I, myself learned right along with them! I thought the presentation was put well for all the age appropriate children. They learned and listened because at the end I know they were answering questions they didn't know when they came.